This is an older map made in Photoshop picturing the area around Ankh-Bathor. The map was made after I’d finished the first digital map of the Etrakien world and I decided that I wanted to develop the style to a more local view. 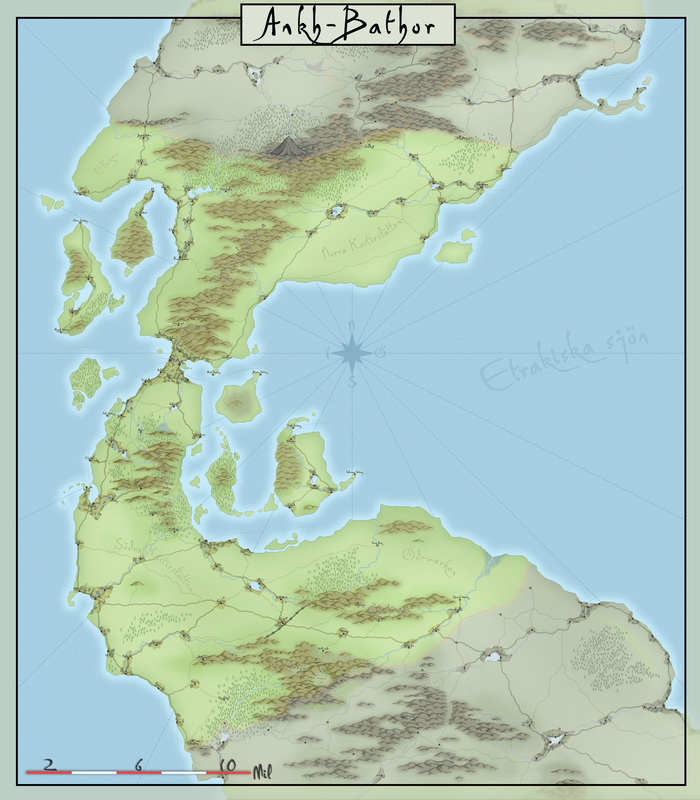 The original Etrakien style, that actually was made into a style for Campaign Cartographer 3 in the April 2009 Annual from Profantasy, was primarily made for making worldmaps depicting continents. In the Ankh-Bathor map I needed to change the focus of the style to more depict only a small area of the world. Whenever I decide to zoom in to make a more local map of my world I usually find it hard to limit the amount of detail I want in the map. And this first experiment with the style suffers a bit from that. 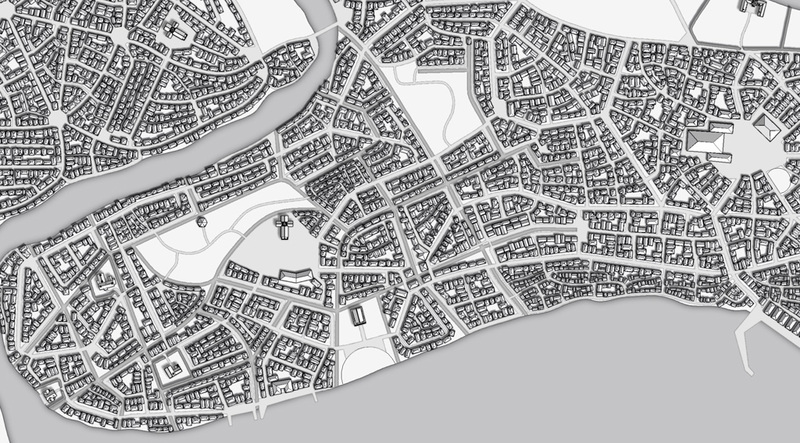 In future maps I’ve tried to be a bit harder on myself when it comes to details. Make sure that the important details are there but try to sort out the unnecessary ones. Otherwise your important ones will drown in a forest of details. I’m still pleased with the map and I learned a lot that from it that I could use in future maps. In the end this style developed into what you see in my current maps I make in Photoshop, like the one of the Truscian peninsula.